Singapore, 19 November 2018 — The first official chapter of the Carbon Pricing Leadership Coalition (CPLC Singapore) was launched today by Global Compact Network Singapore and the Carbon Pricing Leadership Coalition (CPLC). Through this unique partnership, CPLC Singapore aims to encourage the private sector to collaborate through using internal carbon pricing as a mechanism to reduce emissions beyond Singapore’s upcoming carbon tax in 2019. Convened and supported by the World Bank Group in 2015, CPLC aims to reduce greenhouse gas emissions worldwide through ambitious carbon pricing. Amidst CPLC’s long-term objective of having carbon pricing be applied throughout the global economy, CPLC Singapore was formed to support and further the global cause. The Chapter’s formation also reflects the growing momentum for carbon pricing in Asia and the central role Singapore is playing in the region through CPLC Singapore. CPLC Singapore will focus on the business case for carbon pricing, and aims to offer leadership in emissions reduction through knowledge-sharing, targeted technical analysis, public-private dialogues and the setting of internal carbon pricing mechanisms. Through such collaborations, the Chapter will facilitate dialogue between the public and private sectors to provide policy inputs and resources. Additionally, CPLC Singapore will provide a deliberative space for companies to raise concerns, share success stories, and overcome carbon pricing implementation challenges. Gérard Mestrallet, CPLC High-Level Assembly Co-Chair, said, “The necessity of a carbon price is here. Through collaboration, companies can facilitate the implementation of efficient carbon prices and use internal pricing to minimize future climate risk. By building the business case for fair carbon pricing, CPLC Singapore will further low-carbon innovation in the country and the region.” Mestrallet is also Chairman of SUEZ and Honorary Chairman of ENGIE. In light of Singapore Exchange’s recent “comply or explain” sustainability reporting framework, Global Compact Network has developed the Responsibility Index Communicator for Enterprises (RICE) Tool. The RICE Tool is designed to introduce the concept of sustainability reporting and the various international standards on sustainability to first-time reporters — in particular to small and medium enterprises (SMEs). It provides a snapshot of companies’ sustainability efforts, enables the measurement of responsible business practices and indicates areas for improvement. Global Compact Network Singapore has examined and incorporated 11 international standards and frameworks into a simple tool, and simplified the language to make it easier for first-time reporters to understand and apply such standards. Using the results from the RICE Tool, Global Compact Network Singapore can assist first-time reporters in producing a simple sustainability report that meets Singapore Exchange’s regulatory requirements. The launch of CPLC Singapore and the RICE Tool was announced by Goh Swee Chen at the 10th Global Compact Network Singapore Summit, in the presence of Teo Chee Hean, Deputy Prime Minister and Coordinating Minister for National Security, and Lise Kingo, CEO and Executive Director of the United Nations Global Compact. Stewardship Asia Centre (SAC) has published Stewardship Principles for Family Businesses — a guide intended to help family businesses across and beyond Asia to focus on stewardship. The guide comprises seven broad principles that aim to articulate the mindset and attitudes as well as the behaviours and practices that would foster the success, significance and sustainability of family businesses. The announcement was made by Ong Boon Hwee, Chief Executive Officer of SAC, at the closing plenary of the Global Compact Network Singapore Summit. Stewardship is pertinent to family businesses, which form the backbone of economies across Asia. Family businesses are diverse in nature, ranging from small and medium enterprises to huge conglomerates, which operate across industries and countries. Every generation of family businesses faces unique challenges and opportunities. Successful and sustainable family businesses create wealth and growth across generations. Lasting family businesses leave a rich legacy and contribute to multiplier effects, such as knowledge-creation, economic development as well as human and social impacts to benefit the society in the long-term. SAC has engaged successful and enduring family-based businesses in the Asia-Pacific, organizations that work closely with family businesses, and subject-matter experts on family business leadership. The Stewardship Principles for Family Businesses guide was developed based on research and consultations to encapsulate the dispositions and structures that promote successful enduring family businesses. Moving forward, SAC aims to promote the principles introduced in the guide and help companies translate them into action, together with like-minded partners across the region. Global Compact Network Singapore is the national lead agency promoting corporate sustainability, providing a one-stop concierge service for businesses to begin, deepen and broaden their sustainability journey. 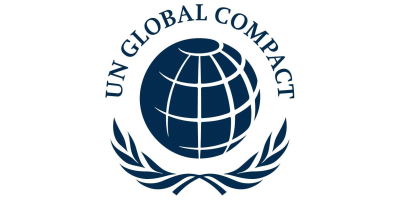 As the local chapter of the United Nations Global Compact, Global Compact Network Singapore encourages companies committed to aligning their operations and strategies with the Ten Principles of the UN Global Compact in the areas of human rights, labour, environment and anti-corruption. Through various platforms for multi-stakeholder engagement and collective action, Global Compact Network Singapore advances the stewardship of sustainable business practices, supporting Singapore’s national agenda of becoming a regional sustainable business hub. Since its inception in 2005, Global Compact Network Singapore has raised the level of awareness and adoption of corporate sustainability in businesses through collaboration between relevant stakeholders and practitioners in businesses, Government and civil society. In addition, Global Compact Network Singapore nurtures the next generation of sustainability business leaders through youth initiatives. Global Compact Network Singapore is a stakeholder of the Global Reporting Initiative. No comments were found for Global Compact Network Singapore Launches First Official Chapter of the Carbon Pricing Leadership Coalition and Reporting Tool RICE. Be the first to comment!